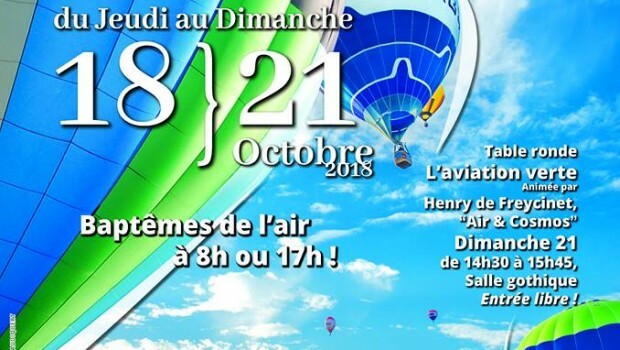 On the occasion of the Montgolfiades, we invite you to discover Saint-Emilion: from bottom to top ! From the Tourist Office, your guide will take you to the discovery of Saint-Emilion as you have never seen it before! To begin, go underground to discover the hidden monuments of Saint-Emilion hollowed out in the limestone rock: the hermitage of the monk Emilion, the catacombs and the monolithic church - the largest underground church in Europe. Walk through this underground labyrinth and familiarize yourself with the function of these places throughout the centuries and their symbolism. Then, we will take you to the sky by going up the Tour du Roy, element of emblematic architecture in Saint-Emilion built in the XIIIth century. From the roof of the building, the city offers itself up to you to reward the 118 steps climbed. The exceptional panoramic views will be the opportunity to learn more about the organization of the village through the ages, the appellations and the terroirs of the Saint-Emilion's vineyards as well as its inscription in UNESCO and the Jurisdiction of Saint-Emilion.